ON THE EDGE of a new direction or on the brink of a crisis? I curated the exhibition ON THE EDGE as a visual display of crisis at the crossroads, presenting craftsmanship which may either become obsolete and forgotten, or through a new design direction may be celebrated as the sustaining and desirable choice for our future consumer culture. Led by the craftsmanship of Lasse and Helena Kinnunen, Deka Design produces interior furniture and objects that advocate an environmentally sustainable and culturally relevant built environment. 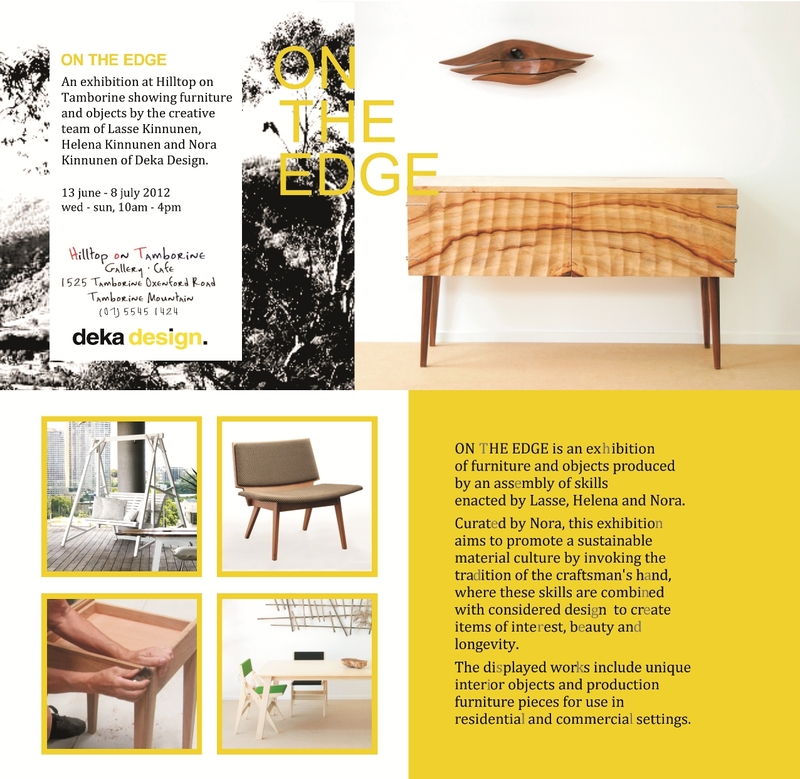 ON THE EDGE – Open 13 June – 8 July 2012 at Hilltop on Tamborine, 1525 Tamborine Oxenford Road, Tamborine Mountain. Wed – Sun 10am -4pm (closed Mon and Tue).